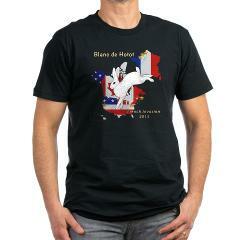 Blanc de Hotot French Invasion T-shirts! 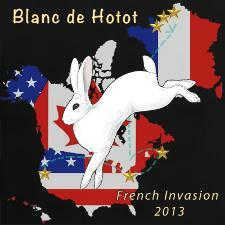 I’m sharing my Blanc de Hotot celebration of the French Importation of 2013 T-shirts. This importation marks a very important day in the history of the Blanc – the first French import since Bob Whitman’s original stock in the 1970’s. 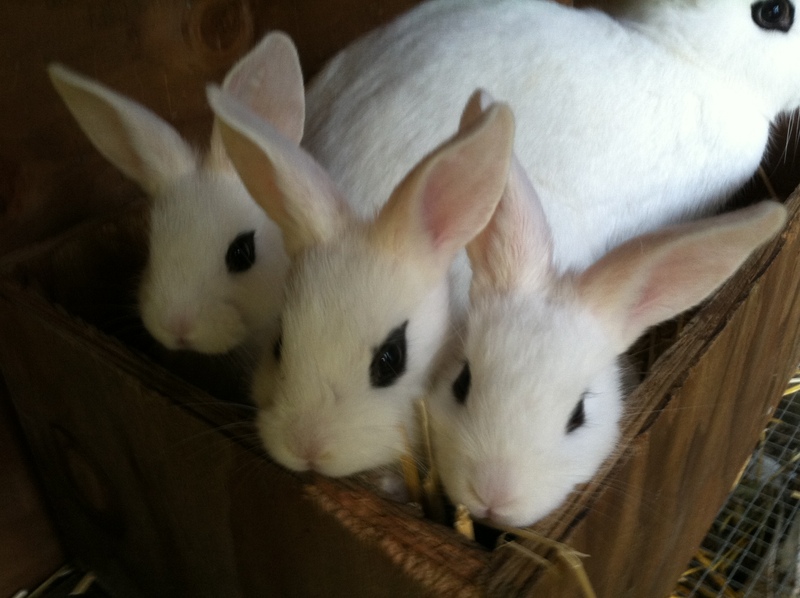 This importation signals a revival for this breed by bringing in the strength and purity of original purebred bloodlines. 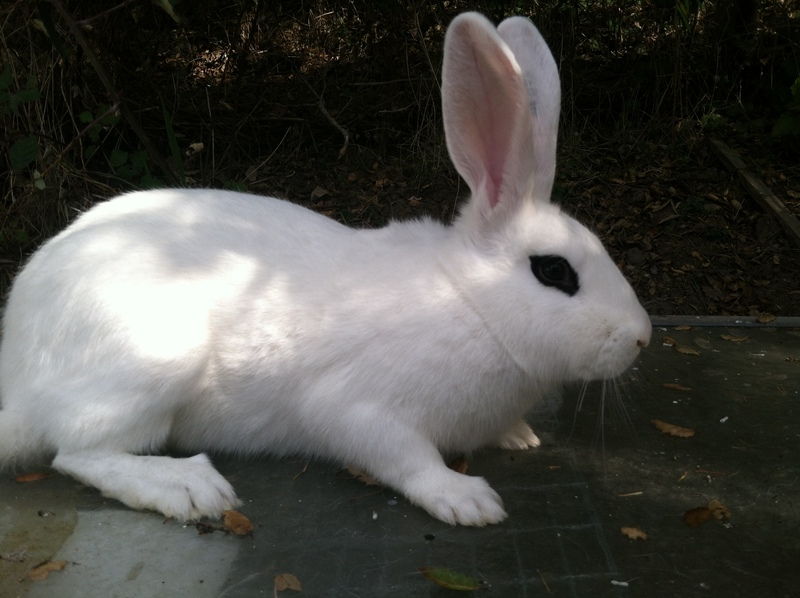 Fan of the Hotot? Enjoy these colorful shirts illustrating the Blanc hopping from France to Canada and the United States! 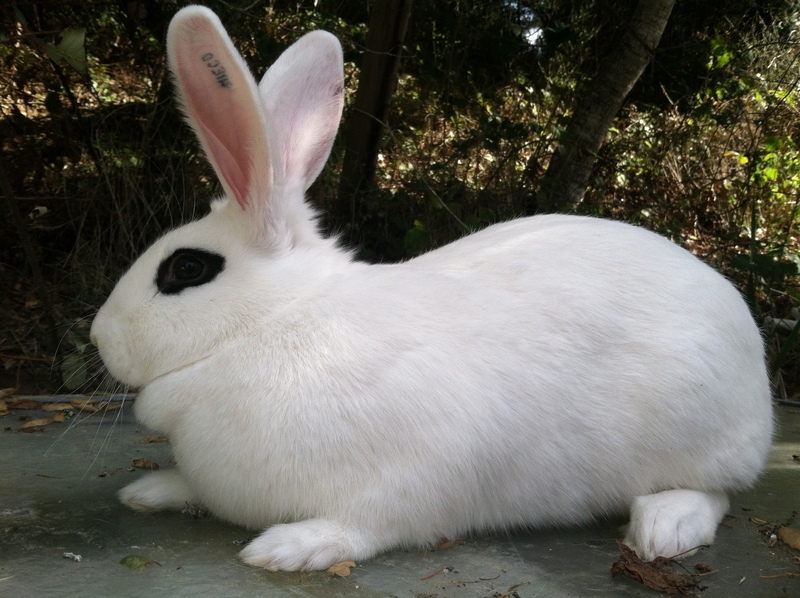 This is the most endangered breed of rabbit in the U.S. and it can use the enthusiastic support of raising awareness and interest in this breed. 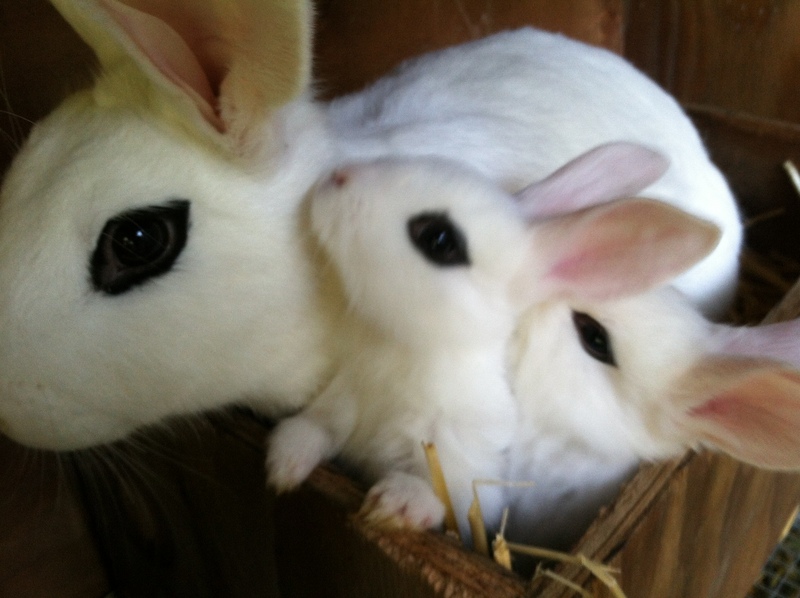 Whether you raise Hotots or just love them, spread the word!